The UGT1A1 enzyme is involved in the metabolism of bilirubin and numerous medications. Unconjugated hyperbilirubinemia, commonly presented as Gilbert syndrome (GS), is a result of decreased activity of the UGT1A1 enzyme, variable number of TA repeats in the promoter of the UGT1A1 gene affects enzyme activity. Seven and eight TA repeats cause a decrease of UGT1A1 activity and risk GS alleles, while six TA repeats contribute to normal UGT1A1 activity and non-risk GS allele. Also, the UGT1A1 (TA)n promoter genotype is recognized as a clinically relevant pharmacogenetic marker. 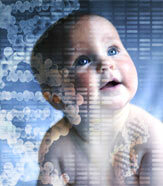 The aim of this study was to assess diagnostic value of UGT1A1 (TA)n promoter genotyping in pediatric GS patients. Correlation of the UGT1A1 (TA)n genotypes and level of unconjugated bilirubin at diagnosis and after hypocaloric and phenobarbitone tests in these patients was analyzed. Another aim of the study was to assess pharmacogenetic potential of UGT1A1 (TA)n variants in Serbia. Fifty-one pediatric GS patients and 100 healthy individuals were genotyped using different methodologies, polymerase chain reaction (PCR) followed by acrylamide electrophoresis, fragment length analysis and/or DNA sequencing. Concordance of the UGT1A1 (TA)n promoter risk GS genotypes with GS was found in 80.0% of patients. Therefore, UGT1A1 (TA)n promoter genotyping is not a reliable genetic test for GS, but it is useful for differential diagnosis of diseases associated with hyperbilirubinemia. Level of bilirubin in pediatric GS patients at diagnosis was UGT1A1 (TA)n promoter genotype-dependent. We found that the frequency of pharmacogenetic relevant UGT1A1 (TA)n promoter genotypes was 63.0%, pointing out that UGT1A1 (TA)n promoter genotyping could be recommended for preemptive pharmacogenetic testing in Serbia.